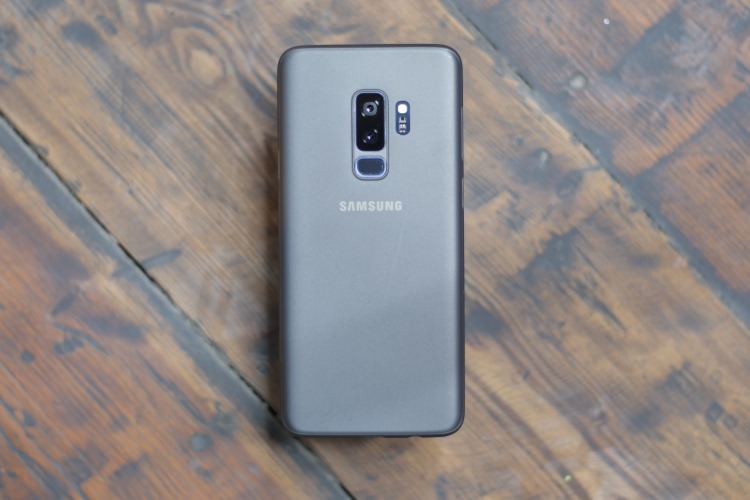 Samsung has reportedly begun testing Android 9 Pie on the Galaxy S9 and the S9+, but the company is yet to officially announce an Android Pie update timeline for the two devices. 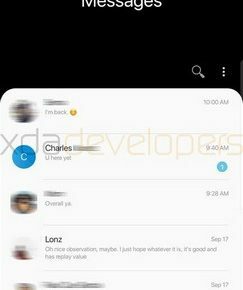 But thankfully, the folks over at XDA-Developers have brought us our first look at Samsung Experience 10.0 based on Android Pie. 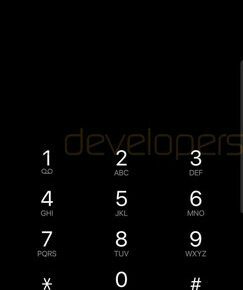 A developer recently installed a ‘very early development build of Android Pie’ using a tool called Firmware.science on a Snapdragon 845-powered Galaxy S9+ unit, which uncovered a ton of details regarding the changes that Samsung Experience 10 is set to introduce. 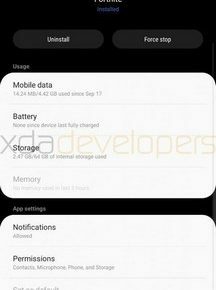 Samsung Experience 10 will introduce a new form of navigation gestures that will differ from Pixel phones, following the Android 9 Pie update. 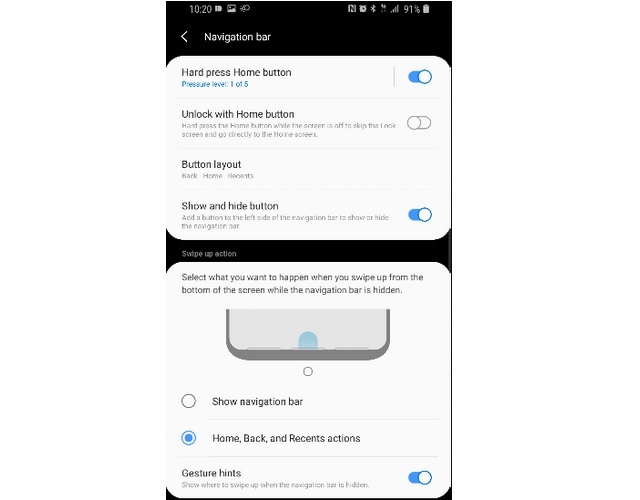 Instead of implementing a mix of horizontal and vertical gestures, Samsung’s take on navigation gestures only involves upward swipes from the areas where the home, recent and back buttons are located. Unsurprisingly, the navigation gestures will be activated only when the on-screen buttons have been hidden. 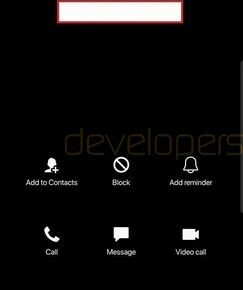 The default phone app now has a night theme, and the position of buttons such as recent, keypad, contacts, etc. has been moved to the bottom of the call screen, while the search bar has also been stretched diagonally. 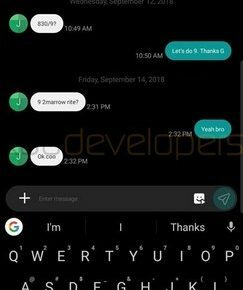 In addition to a new night theme and card-like elements with rounded corners, the default SMS app has also received some design makeover such as relocation of the conversations and contacts button to the bottom bar. 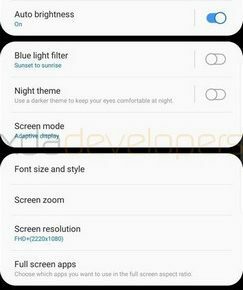 Samsung Experience 10 is set to introduce a new AMOLED Dark theme that will reportedly be called the night theme and will be enabled by default. Moreover, the UI will feature rounded cards in the settings app and the notifications area. Additionally, the Quick Settings drop-down menu has been redesigned with circular buttons, and it now lacks the quick access toggles to change settings for different tasks. 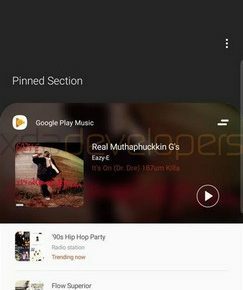 The lock screen has also been redesigned and it now features a new clock, while the recent apps screen has also received a makeover to present a card-like format for background apps which can be scrolled horizontally. 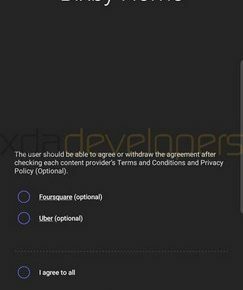 The most prominent aesthetic change introduced by Samsung Experience 10 is the dark mode which can be applied either manually or scheduled to activate automatically at a particular time, complete with the ability to automatically adjust the brightness. 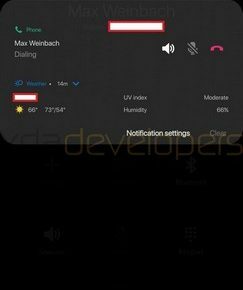 There is also a new motion and gestures menu that will now come with a new gesture called lift to wake, which as the name suggests, will wake up the device when users pick up their smartphone. 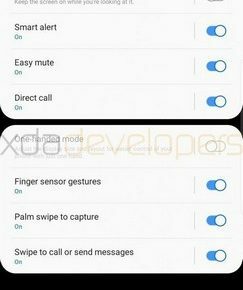 Old gestures such as swiping on the fingerprint sensor and palm swipe will also be there, all of which will be located under a new tab within the Advanced Features section in the Settings Menu. 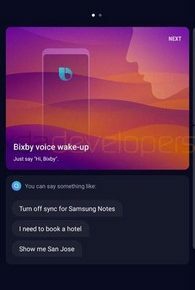 Bixby has also been redesigned with the same aesthetic elements and it also gets a night theme in Samsung Experience 10, however, no new features have been discovered yet. 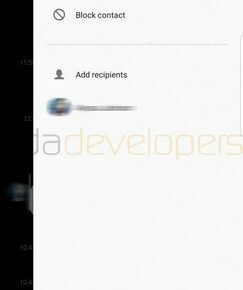 Similar design changes have also been made in the case of a few other apps such as Samsung Mail, Gallery, My Files, Samsung Internet, and the Camera app, with the latter receiving a major design makeover alongside a new option to compare macro and micro shots.